Custom made cat leashes. 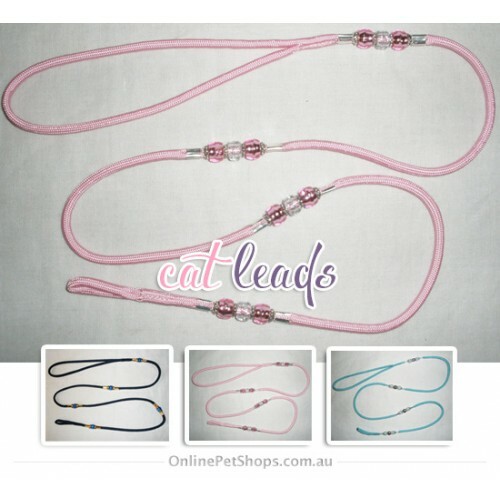 You will just love the quality & design of these custom made paracord bling cat leashes. Custom made cat leashes. 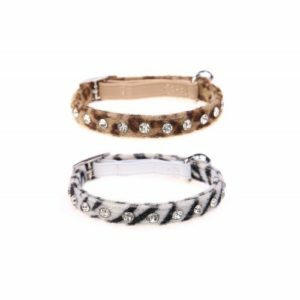 You will just love the quality & design of these custom made paracord bling cat leashes. Simply select from our 5 color choices in the tab below! 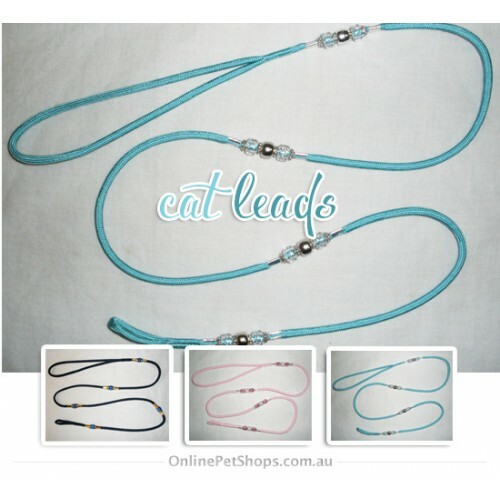 These leashes loop onto all cat harness connections very easily and are the perfect weight and length for walking safely with your cat outdoors. 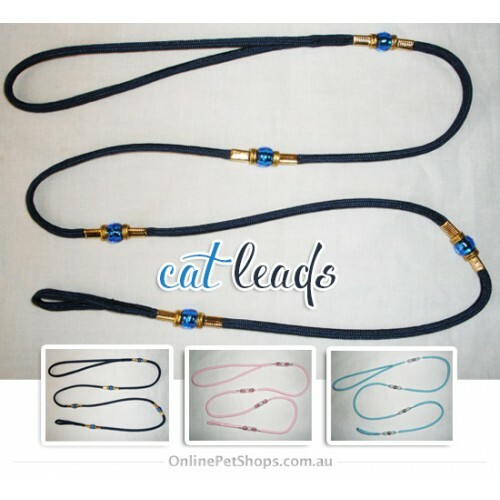 We stock the finest cat leads, cat leashes and cat harness for your very special feline.